Brimfield Block..so approximately 3 1/2 inches! Bitty Brimfield measures approximately 12 x 12 inches. 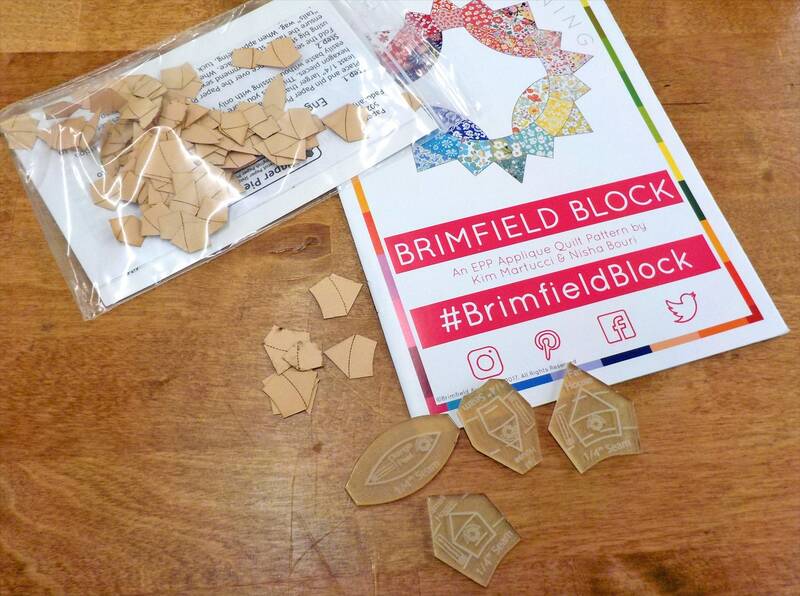 Bitty Brimfield Block features English Paper Pieced blocks that are appliqued to a background. I LOVE THIS SHOP. THE OWNERS ARE VERY HELPFUL AND NICE. I HAVE GOTTEN MANY THINGS FROM THEM AND HAVE ALWAYS RECEIVED MY ITEMS QUICKLY.